Beginning with his viral YouTube video (I won't link to it, every additional view is one view too many! ), and continuing on, Dr. Robert Lustig has been making the claim that fructose is metabolized like alcohol by the liver. You cannot make your misinformation more clear than to title a section in your book as Lustig did in Fat Chance -- Fructose versus Ethanol: Pick Your Poison. Before Lustig, I don't think I'd ever heard anyone equate sugar to alcohol on a metabolic level. A few may have made an addiction analogy, but it was Lustig who "taught" us the "science" that the liver processes sugar just like alcohol. It is shocking to me that his video was produced and distributed by an institution of higher learning as a "Mini Medical School for the Public" presentation. This implies to me that the content has been somewhat vetted. Apparently it has not been, and also, nobody within that establishment has ever seen fit to correct the record? Again, apparently not, as there is that Skinny on Obesity series out there repeating many of the previous errors. The first time I watched the YouTube video my BS detector was going off left and right, remaining pegged on overload for long stretches. It should have been for many in this community as well. Every doctor, every nutritionist, and everyone who has ever taken a biochemistry class. Heck, I'm pretty sure I read diet advice in Glamour and Self magazines in the 80's that was more scientifically correct than Lustig's video. Maybe nobody pointed this out? The presentation of the science is compelling but, while it has a number of important points, it is clearly biased and, oddly, a good deal of it is totally wrong, some of it containing elementary errors in chemistry that border on the bizarre — how hard would it have been to open an elementary organic chemistry text? In trying to draw parallels between alcohol and fructose, Lustig says “ethanol is a carbohydrate.” Ethanol is not a carbohydrate. A horse is not a dog. If you said that ethanol is a carbohydrate in sophomore Organic Chemistry, you would get it wrong. Period. No partial credit. Such elementary errors compromise the message and raise the question in what way Lustig is an expert in this field. Exactly! In a way, it's not so much the "expert" label anymore, but a matter of whether one can consider the person a reliable source. There's no way, that I can fathom, that someone with Lustig's educational background has gotten the basics of organic and biochemistry wrong, and that leaves folks with uncomfortable explanations for why he says what he does. I can't believe that he seriously believes that (1) ethanol is a carbohydrate, or that (2) there are meaningful parallels between the metabolism of fructose and ethanol. He is surely aware of the criticisms of him on the internet, so on the slim chance that he did make a mistake, he has had ample time to correct it. Thus, I believe it brings into question what is motivating him at this point, and that is a fair questioning. The image below (direct link) is a pretty good one demonstrating the metabolic pathways for fructose and glucose in the liver. My only argument might be to stress the relative fates of AcetylCo-A ... The CO2 path (oxidation through Krebs/TCA) is quantitatively greater than the formation of fatty acids by de novo lipogenesis. Still, does this look anything like the metabolism of ethanol at right? Didn't think so. Acetate is converted to AcetylCo-A and the various metabolic fates thereof are similar to fructose ... and glucose ... and theoretically fatty acids, though the metabolic milieu when excess fatty acid derived AcetylCo-A is formed favors ketones vs. DNL. I suppose someone with no chemistry background might notice the "aldehyde" in common but these are distinct compounds and intermediates in unrelated pathways. 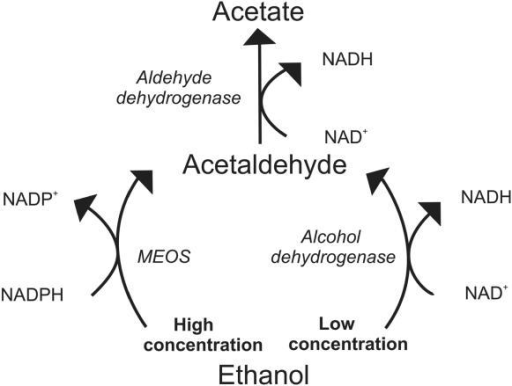 Further, the normal metabolism of ethanol produces an intermediate, acetaldehyde, that is toxic to the human body (moreso than the ingested ethanol). The normal liver has limits in how much and how quickly this intermediate is converted to acetate for further metabolism, and acetaldehyde can exert toxic effects even when alcohol consumption may not be all that high (this is apparently quite variable). If there are any intermediates that are toxic in the metabolism of fructose, they are not implicated as so in physiologically meaningful contexts. Fructose is still converted to fat, right? Well, some, but it is not known or overlooked that roughly half of fructose is converted to glucose. The role of de novo lipogenesis has been covered pretty thoroughly elsewhere. Many have claimed that because fructose is shunted to the liver for processing, it is by default a toxin as that is the liver's function. This is clearly overly simplistic because the liver has many roles in the body. I would argue that handling of toxins is secondary to the two primary functions of maintaining circulating glucose and fatty acids (NEFA) levels. The liver's role in glucose regulation is sometimes presented as clearing a toxin, but this is plain and simply incorrect and misleading. The liver plays a much more pivotal role in adding glucose to our bloodstream than removing it. It works tirelessly to maintain a minimum glucose level and only produces too much in dysfunctional states. The liver's role in NEFA regulation is a negative one, so does that mean fatty acids are toxic? Well, actually they are, in excess, and the liver plays a critical role in repackaging them back up when more than are needed have been released into circulation. The liver also repackages other fats -- dietary fats even. So it removes chylomicron remnants and sends them back out as VLDL. The liver is the only organ that does this. By the "because the liver does it" logic fats are toxic! Oh but we're talking about dietary compounds! Oh yeah? Well then perhaps you can explain to me why it is that coconut oil and MCTs are so revered in this community? Because these, like fructose, have no function in the human body. To the extent they make it into body fat it is likely by accident, they do not make up any component of cell structure, etc. So they are metabolized in the liver to AcetylCo-A and ketones. Would this not make them, by Lustig's definition, poison? Are you advocating the Coke diet now? 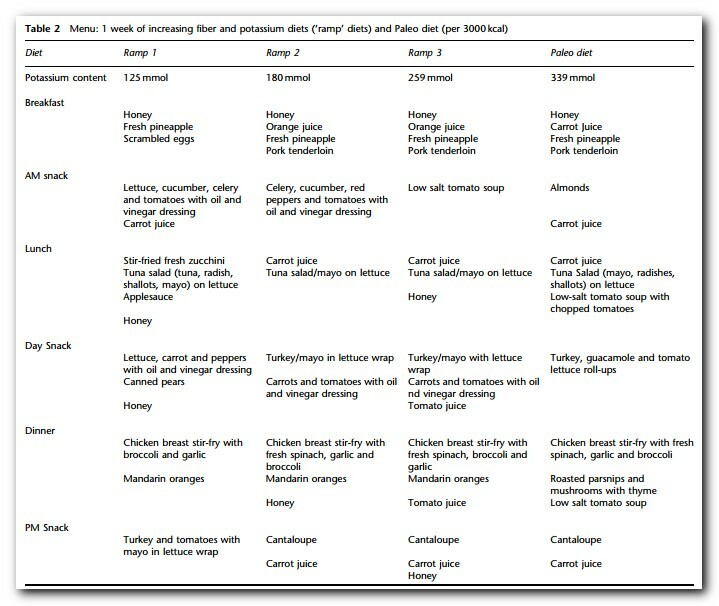 Now I would agree that this diet differs a bit even from that used in other studies and in practice (the carrot juice and low salt tomato soups 2X per day each), but it is important to remember that there was one week on the ramp up diets that included orange juice and then 10 days on this version of the paleo diet. Breakfast of honey, carrot juice, pineapple and pork tenderloin! Unlike some other paleo studies, this one ended up involving increased caloric intake of around 300 cal/day, about 14% over baseline totaling roughly 2700 cal/day. It is rather difficult to dismiss the fructose in this diet in that cantaloupe and pineapple are very juicy and sweet and honey, why that has free fructose in it! The other notable change in the diet was an approximately 85% increase in protein intake from just over 100g to almost 200g. The absolute fat and carbohydrate intakes were virtually unchanged (-5g carbs, -3g fat). Given that the only significant starch comes from parsnips, this diet is fairly described as high fruit, and it is higher in fruit than the SAD (though not necessarily higher in fructose as that depends on the version of the SAD). But fructose is not fructose! Sugar is like cocaine because it has no fiber! There are differences in fructose's effect on the body depending on the "packaging". This is food for thought, and was discussed a bit here: If you drink OJ, might it just as well be Orange Crush? Here's something to consider. Let's say you were to feed 50 people 5 ingredient Cocktail A for 6 weeks, and then feed these same 50 people (in randomized crossover fashion as to which cocktail they got first) 5 ingredient Cocktail B for another 6 weeks. And let's say that the only ingredient that was the same in both cocktails was Substance X. At the end of the 6 weeks you measured a bunch of metabolic markers. Now if Cocktail A caused metabolic mayhem while Cocktail B showed some minor improvements in those same markers, what conclusions might you draw? If Substance X were fructose, apparently you throw the scientific method out the window and blame the fructose. But hopefully the answer would be that it must be something about one or more of the other 4 ingredients in Cocktail A that is causing the problem, and/or something about one or more of the other 4 ingredients in Cocktail B is responsible for some improvements. Fructose is not the problem. Fructose is fructose. It looks like this. It is the same if it comes from honey, or fruit, or white table sugar. It is the same if it comes from HFCS. This is not to say that if you eat oranges, you might as well just drink orange soda -- exactly the opposite. It's to say that if you consume fructose the package seems to matter more than the chemical itself. incredibly just right uncanny feeling I found out just what I needed. I such a lot unquestionably will make certain to don? a lot of useful info right here in the post, we need work out more techniques on this regard, thank you for sharing. The only real parallel between fructose and alcohol is the rat model of fatty liver; on a high-fat (35% fat which is 30% or more PUFA) diet you can produce similar effects by adding either high fructose or high alcohol feeding. This is probably a useful indication that in human metabolic problems we are also better off looking for similar synergies rather than considering fructose in isolation. ...And meanwhile back at the ranch, JM continues to drive LC into the ground. I'm so sick of the retarded macronutrient wars, classing the various chemicals and stuff we eat as macronutrients is so stupid. FWIW are you really saying that ethanol IS NOT a carbohydrate? We must live in different universes then, because where I come from ethanol is made from Carbon, Hydrogen, and Oxygen. I'm not sure where you get your science dude. "Lustig says “ethanol is a carbohydrate.” Ethanol is not a carbohydrate. A horse is not a dog. If you said that ethanol is a carbohydrate in sophomore Organic Chemistry, you would get it wrong. Period. No partial credit. " Dude got her science from organic and biochemistry classes in college. But if you don't want to take my or Feinman's word for it, ,a href="http://www.thefreedictionary.com/carbohydrate">(Chemistry / Elements & Compounds) any of a large group of organic compounds, including sugars, such as sucrose, and polysaccharides, such as cellulose, glycogen, and starch, that contain carbon, hydrogen, and oxygen, with the general formula Cm(H2O)n: an important source of food and energy for animals. By contrast, ethanol has a formula C2H6O, a 6 carbon chain alcohol, hexanol has a formula C6H14O. A 6 carbon saturated fatty acid, hexanoic, has the formula C6H12O2. So I'm not sure where you are getting your chemistry from "dude", but it isn't from a reliable source! Classing foods according to macronutrients is an important part of nutrition because our bodies DO treat these differently (there should probably be a little bit more attention paid to subclasses of the macros, especially when it comes to claims about SCFA). But I agree, the "wars" are tiring ... especially when based on false information. I read Feinman all I can - and I know all the silly chains, but in the end technically ethanol is still a carbohydrate though, so are ketone bodies. Like I said, classifying things into macronutrients is stupid. Is soy protein metabolised the same as a ribeye protein? Saying a calorie is a calorie or a carbohydrate is a carb or a whatever is a whatever is like saying a man is a man and a woman is a woman and that's it. No, technically it is not. That term has a specific meaning beyond just C, H and O. The "hydrate" part refers to the 2H per 1O in the molecular formula (even though there is no H2O in the molecule). Saying a man is a woman is what we're talking about here. Not the differences within subclasses of molecules. 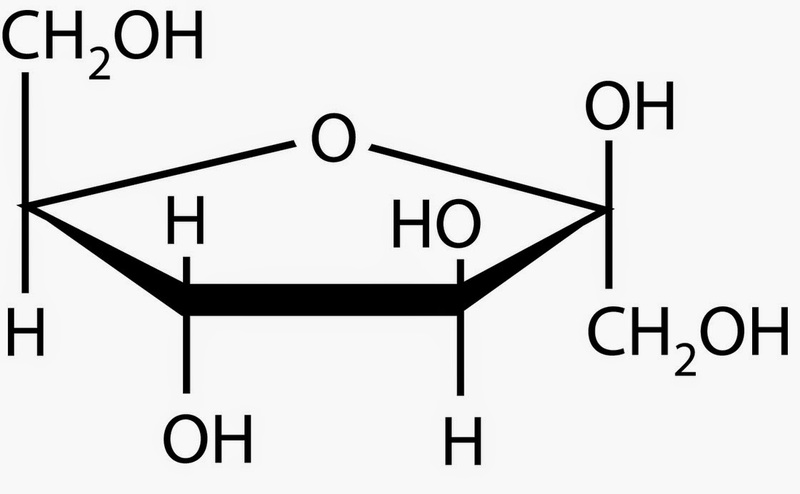 Fructose and glucose have the same chemical formula C6H12O6 but they are metabolized differently. However since each is used mostly for energy by the body, for the most part they really are 4 cal/gram. 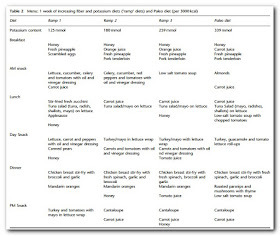 There are some differences that might alter long term energy balance in terms of metabolic rate (an "out" term) in more extreme comparisons (and often not realistic ones) , but the "simplistic" calories explain things in metabolic ward studies so until NuSI comes out with their metabolic ward study showing that a 30% fat diet vs. a 40% fat diet changes anything, I'm going by what decades of research has shown. I saw a low carb T-shirt that had a logo I'm Low Carb(on). Ummm.... is that the guy in India who claims to live on air? BTW, I up-voted this, but unlike FB, you can't see who up or downvotes a post. Apparently this is going to be an "improved feature" in Disqus soon. I hope so, because it would make comments like this smile unnecessary. Maybe his motivation is to scare people away from their high sugar diets? Don't see much wrong with that to be fair. Countless companies do the opposite, public health is irrelevant. While I can see your point, it's funny I was thinking about writing a post on motivations and goals. Ultimately, to me anyway, science cannot be about motives or ends justifying means, and it should not be used in this manner either. Fructose and ethanol are analogous QUALITATIVELY in terms of hepatic metabolism. In SMALL DOSES, NEITHER WILL OVERWHELM HEPATIC MITOCHONDRIAL CAPACITY. However, as Paracelsus stated, “The dose determines the poison.” In a substrate overload/hypercaloric paradigm, excess energy substrate conversion to acetyl-CoA without any insulin regulation and with limited diversion to nontoxic intermediaries such as glycogen will occur. Both fructose and ethanol uniquely drive DNL, generating intrahepatic lipid, inflammation, and insulin resistance. Through the phenomena of enhanced DNL, JNK-1 activation, and hepatic insulin resistance, the hepatic metabolic profile of fructose is ANALAGOUS to that of ethanol. Furthermore, fructose and ethanol are also analogous QUANTITATIVELY. The hepatic burden of a can of beer vs. a can of soda. Both contain 150 kcal per 12-oz (355-mL) can. Both contain a concomitant glucose load combined with either the ethanol load (beer) or the fructose load (soda). The first-pass effect of ethanol in the stomach and intestine removes 10% of the ethanol. In the case of beer (3.6% ethanol and 6.6% maltose, a glucose disaccharide), ~92 kcal reach the liver, whereas for soda, 90 kcal reach the liver. Indeed, the quantitative metabolic demand on the liver from beer and soda are analogous as well. I'm not sure why Lustig said alcohol is a carbohydrate, except there is something of a continuum between the two disparate groups if you consider sugar alcohols and polyols. Perhaps he was just trying to sort it into one of the three macronutrients, as nutritionists tend to do: is it a protein? no. Is it a fat? no. Is it a carbohydrate? no. Besides the three macronutrients, it's the only other substance that provides calories? What is it MOST like? Hmm...but no, you go ahead and dismiss him on this straw man, and don't look at the actual work he's done. That's fine. For me? 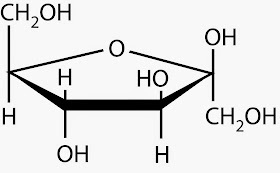 Fructose with glucose, without fiber for a person who's already obese (most Americans eating cereal and cake) is a leptin suppressing, ghrelin promoting, addictive, acute hepatotoxin. In short, it's a drug like alcohol. He says that fructose is a carb in his book too. Alcohol is treated by nutritionists and even programs like Fit Day as it's own macro, it is counted separately in every nutritional clinical trial that I can think of. It is treated differently because it is not like any other macronutrient in the manner in which it is metabolized and calories extracted. I dismiss him on ALL of his scientific errors that have been blogged on fairly extensively here. It's not about perfection, there can be legitimate mistakes. His are repeated and part of videos/lectures put out by a university and a published book. Sorry, "he got a few things wrong" doesn't cut it. You are greatly exaggerating his errors. I'll refer you again to his peer-reviewed scientific publications. Show me the mistakes in those articles and quit using this straw man. Nope. Like others have said, show us the mistakes on his peer reviewed scientific papers. I've blogged on some of his peer review publications. None have to do with fructose BTW. They are about hypothalamic obesity and use of insulin-lowering drugs to attempt to treat obesity. Those were a dud. His errors need to be highlighted more rather than less. Thank you for pointing this out. I wasn't diligent in my selection, twas a minor error but important nonetheless. With EasyHits4U you can earn free advertising credits by viewing other ads from a account base of over 1,200,000 accounts. Earn credits fast with a view per view model.